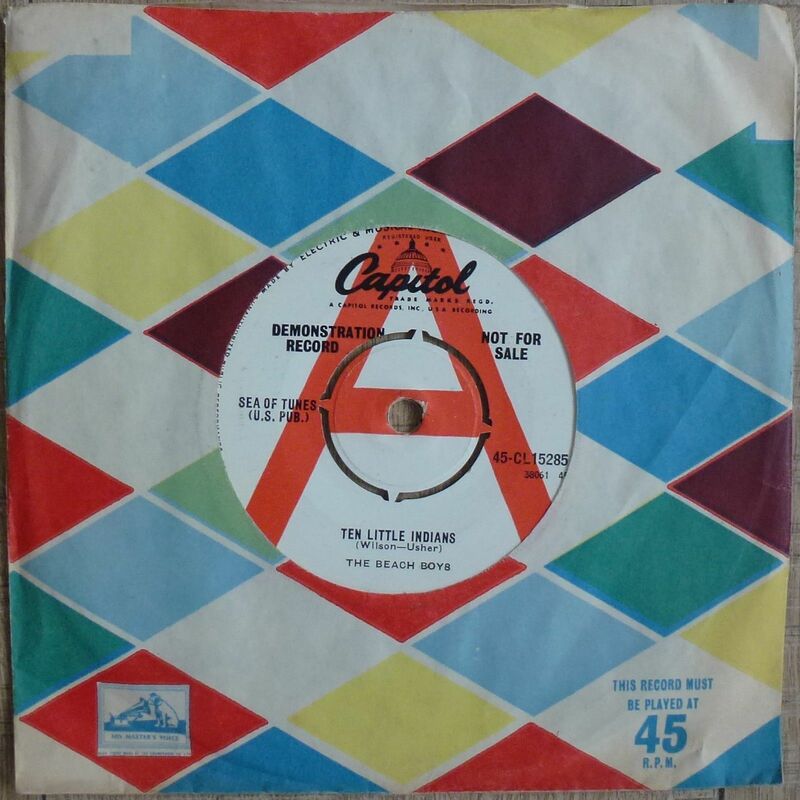 This is a UK demo 7" single by The Beach Boys - Ten Little Indians / County Fair. It was released in 1962 on the Capitol label, catalogue number 45-CL 15285. The record is in Near Mint condition. It has an intact 4-prong centre and comes in a company sleeve.